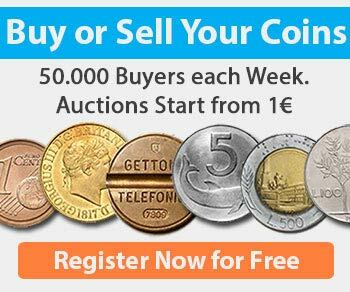 On this page we will talk about everything concerning the 50 cent euro coin. We’ll discover together what are the rare 50 cents, the common coins and the unobtainable editions. At the end we will also take a look at the 50 cent coins of the old italian lira. 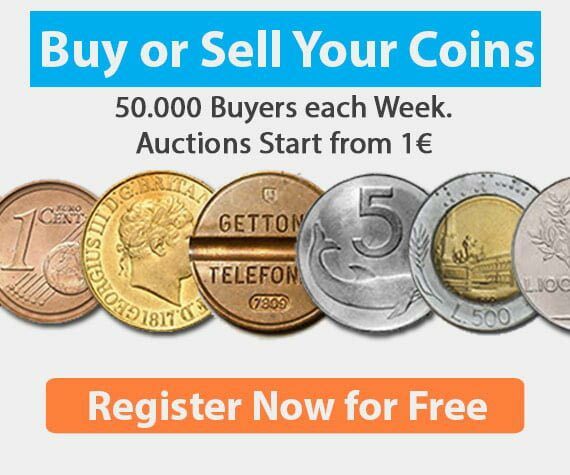 But how much is the 50 cent euro coin worth 2007? 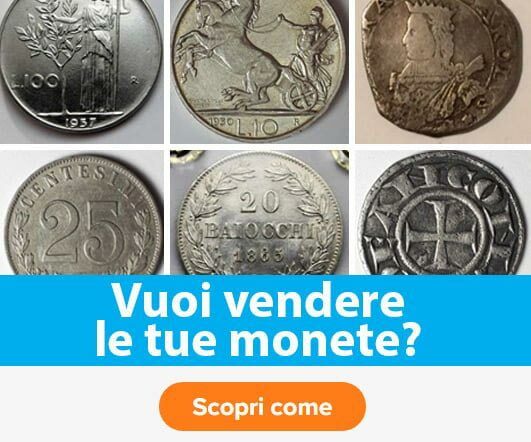 How much are 50 cents worth Vittorio Emanuele III of 1937 1938? Have you ever had a 50-cent coin of 2007 in your hands ? 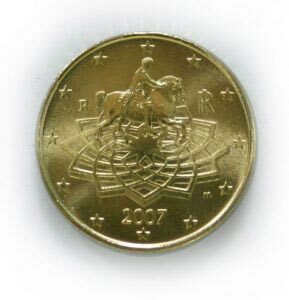 The 50 cent euro coin was minted in 2007 and 4,994,490 copies were produced. If we look at the circulation of the coin, it can be seen that they are not therefore rare 50 cents, but it is considered one of the most difficult coins to find in circulation. Most of the 50 cent coins in our pockets are from 2002. Finding one in 2007 has become a real mission for many Italian and foreign Numismatics. But how is it possible that a coin with a very high circulation is so difficult to find? Someone claims that it is because of its uneven distribution on Italian territory (distributed only in certain areas). Others say that they have not yet been distributed and that they will come out sooner or later. Then there are the very sure ones that have been produced less than those declared. Finally, the conspiracyists, that is those who think that in addition to having produced less of them, they are also hidden in the vaults of a few elected people. In the light of all these assumptions you just have to check your pockets to see if you are among the few lucky people who without knowing it have in their hands a coin “Introducible“. 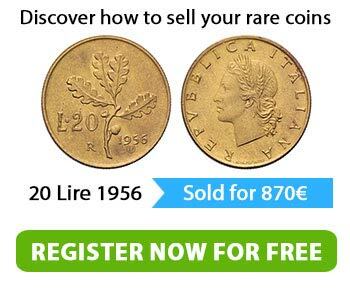 Remember that the value is indicative, it always depends on the conservation and history of the coin. It may vary over time. Coins should always be evaluated individually by Numismatic experts. Let’s now go and see and analyze some other rare 50 cent coins, and let’s start from the 50 cents of Malta, then we’ll see those of Vatican City. The 50-cent coin was first minted in 2008 by La Monnaie de Paris. It has been circulating since January 1, 2008 and was built to replace the previous currency of the island of Malta (Maltese Pound). On the “Towards Comune” or “al Rovescio” of the coin “50 cents Malta” was designed by Luc Luycx, a well-known Belgian medallist. Instead, an open competition was launched to choose the designs to be engraved on the National Face of the 50 cents Malta. Many Maltese citizens took part in the competition and the 50 cent coin was decorated with the coat of arms of Malta. The Front (National Face) of the Malta Fifty Cents coin was designed by Noel Galea Bason who depicted the coat of arms of Malta in the centre of the coin. Its design represents the shield with the National Flag of Malta. The crown of walls above it recalls the Maltese fortifications and symbolizes the City/State. To the left of the shield there is an olive branch, instead to the right there is a palm branch (notoriously symbols of peace) tied together by a ribbon with the inscription “Repubblika ta’ Malta“. 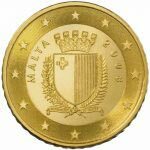 The value of the coin and the name of the country: MALTA are written around the symbol of Malta in a semicircle. Its entire perimeter is surrounded by 12 five-pointed stars that symbolize the European Union. The edge of the coin is striped with a rather thick knurling. A special feature is the presence of a letter “F” in the centre of the star at the bottom (6 o’clock). This letter indicates France which minted the coins of Malta in 2008. In the next run, the mint symbol will not be present. The 50 cent euro coin Malta is made with an alloy called “Nordic Gold” which among its most interesting features has its excellent resistance to blackening. Its brilliant and golden colour does not fade over time. In fact it is used especially for the realization of souvenir coins such as 10 / 20 / 50 cent. of €. The 50 cent euro coin of malta mint (Fdc) is worth 2€, but if they have circulated then the value is facial 0.50€. This is therefore not a rare 50 euro cents. Let’s look at the data and specifications for each version together. The draw is a portrait of Giovanni Paolo II looking to the left. The mint symbol is at the bottom above the year of issue. 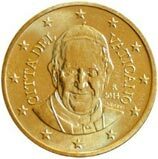 In the coin, The words CITTA’ DEL VATICANO are semi-circle inscribed on the left side of the coin and are followed by 12 5-pointed stars as symbols of the European Union. This sculptor’s signature is at the bottom right: Gv Up Inc. The Verso side is the common side of the 50 cent euro coin with the representation of the countries belonging to the Union that are detached from each other. The coin face shows the coat of arms of Cardinal Camerlengo and the Apostolic Chamber. The word SEDE VACANTE MMV is in a semi-circle around the design. Also in the semicircle, but below, there is the inscription CITTA’ DEL VATICANO. The circle closes with the 12 stars of the European Union. Under the coat of arms are the engraver’s and author’s signatures and the mint symbol and on the right. Towards the common side of the euro coins, with the inscription 50 euro cent and the countries belonging to the Union, represented detached from each other, partially falling on a background of six vertical lines delimited by 2 stars each. 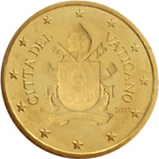 In the face of the Straight is the portrait of Pope Benedict XVI, the inscription CITTA’ DEL VATICANO at the bottom in a semicircle, on the right the symbol of the mint and the thousandth of a minting. The stars of the European Union are on the outer perimeter of the design, before the edge. Instead, the signatures of sculptor and engraver are on the left side of the coin face. The Verso side has the common side of the coin with the representation of the countries belonging to the Union separated from each other. The portrait of the new Pope Benedict XVI is straight. In the lower part of the semicircle the word CITTA’ DEL VATICANO, on the right the symbol of the mint and then the thousandth of minting. The symbol with the 12 Stars of the European Union is around the portrait. The signatures of the sculptor and the engraver are engraved on the left side of the coin. In the Verso side is the new common side of the 50 cent euro coins with the words “50 EURO CENT” Cent and the borders of Europe. The countries of the European Union are now represented as a single entity and no longer separate. The 2011 and 2012 editions are not 50 rare cents but common currencies. The portrait on the right shows the face of the new Pope Francis. The words CITTA’ DEL VATICANO are in a semicircle on the right and left of the portrait. On the right of the face is the mint symbol and the year. The signatures of the engraver and sculptor are above the shoulders of the Pope. In the outer circle of the coin there are the 12 stars of the European Union. They are not therefore rare coins but common coins. The Verso side is the new common side of the 50 cent euro coins. On the right, there is the coat of arms of Pope Francis. The words CITTA’ DEL VATICANO are semi-circle inscribed on the right and left of the coat of arms. On the left is the mint symbol and on the right is the thousandth minting. In the outer circle of the coin there are the 12 stars of the European Union. They are not 50 rare cents but common coins. In the Verso side is the new common side of the 50 cent euro coins. The collections of Italian coins in the world of numismatics have always had a strong value especially for the rarity of rare lira and the beauty of some pieces. The 50 Italian cents of Vittorio Emanuele III were among the most beautiful, in fact he was also called “The numismatic King” because of his passion for collecting. Let’s see some coins from this historical period. The 50 cent coin Vittorio Emanuele III is one of the most common coins of the whole Kingdom of Italy. More than 19 million coins were minted. On one side there is the lateral representation of an eagle with wings explained that ghermisce a beam. The inscription ITALY is at the top of the coin, on the left the thousandth of minting and the year of the Fascist Era. At the bottom there is the Savoy coat of arms between the value (C – 50). On the left side there is the sign of the mint of Rome (R). On the other side of the coin is the profile of King Vittorio Emanuele III, in a semicircle the inscription: VITT – EMAN – III – RE – E – IMP -, in the lower part, along the edge, there is the signature G – ROMAGNOLI. Why, if it is a common coinc, is there so much talk of the 50 cent 1940 coin? The 1940 vintage is renowned because there were two different variations of the coin. One was produced using a pure acmonital alloy (highly magnetisable) and the other used an acmonital and nickel alloy (little magnetisable). The curiosity was to find the coins “not calamitable” because they are considered more valuable. Calamitable or not, anyway the market value of these circulated mountains is very low. If instead we speak of coins in perfect Coin Flower their value could be around 15€ / 20€, and even more so if we speak of the variant not calamitable. Just look at the circulation to understand the rarity of these coins and the possible price of these 50 rare cents. In the latter case, this was a minting test with a smooth edge. Even as far as the rare 50 cents are concerned, therefore, the old lira always give us great satisfaction. 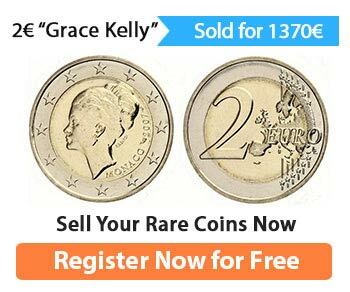 If you are a numismatist and you want info on 2 Euro Commemorative Coins click here. The Rarest Lira Coin and their great value has been dealt with here. Pieces and their value of Italian 20 Lire Coin are described here. Roman coins were discussed here. You will find everything about British Gold Sovereign Coins here.